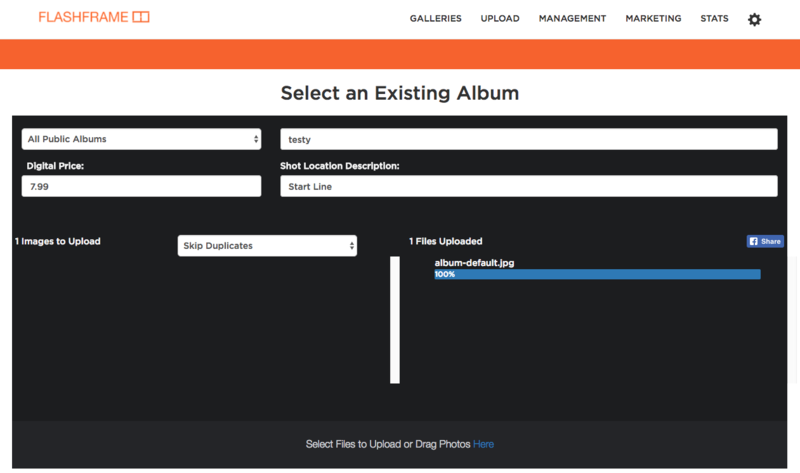 Finally, by request of a number of former Backprint photographers, we are happy to announce the release of FTP, or File Transfer Protocol, for the Flashframe platform. FTP is one of the oldest protocols used on the Internet, and despite its popularity largely decreasing with the general population, its stayed in the mainstream for photographers and major photography companies. Our current upload interface works over HTTPS, and actually affords a number of other conveniences not available through an FTP viewer, including direct sharing and to Facebook. However, an FTP connection can provide a few simpler interface when direct comparing thousands of files. For most users, we definitely still recommend our normal uploading interface, particularly if under twenty thousand files. If you're going to be uploading more than that, first, it may be worth giving us a call to help you out, but secondly, it may be valuable to use our FTP interface. While we still recommend the normal user interface designed to upload through the browser, users can request the use of FTP by emailing ftp@flashframe.io with their username and the subject line "FTP Use Requested." This is a by request only feature, meaning only those who have requested it directly will be given access. Users can then directly access their own allocated file storage system and upload files via their own terminal, or FTP clients such as Filezilla or Cyberduck. There will be strict upload procedures in order to have your photos properly processed by the Flashframe servers. If not followed closely, the server will reject your photos. If you're interested, please email in, and we'll make sure to provide you with detailed instructions to get started.